Hello! I’m Kimberly. 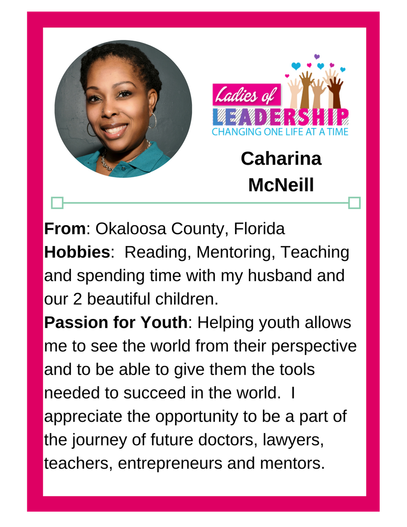 Here’s a little about me! 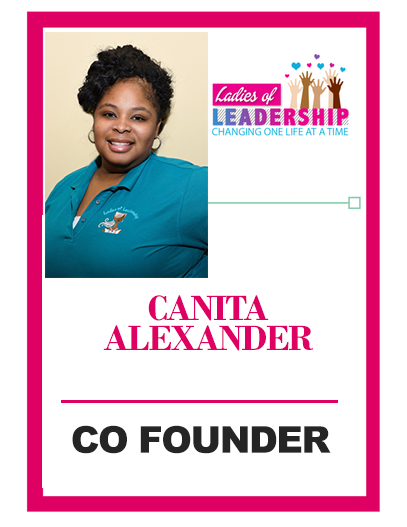 I am the Founder of Ladies of Leadership, a wife, mother, and a giver. 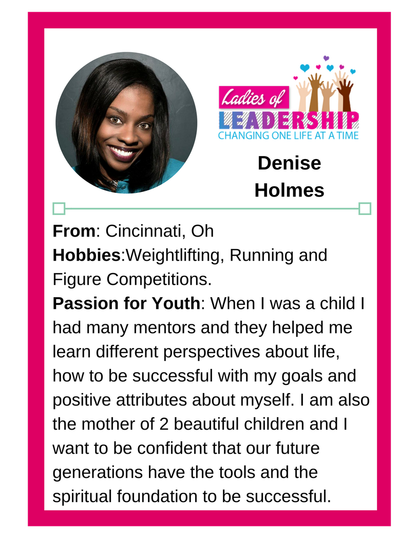 When I began L.O.L, I just wanted to help young ladies be great. 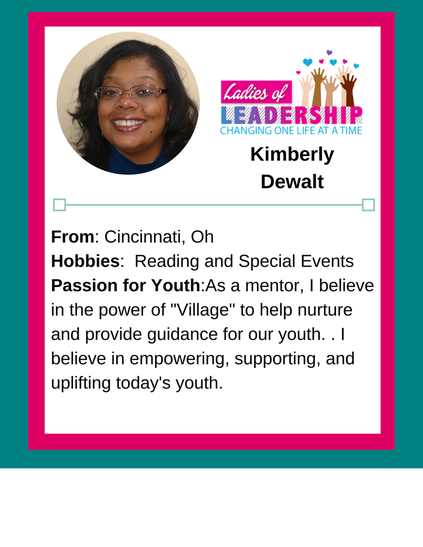 As a young girl, who grew up in Akron, Oh, I experienced a lot of ups and downs. I was very insecure, didn’t feel loved, and didn’t love myself. I didn’t understand the importance of valuing myself. Because of this, I lived a carefree life. I didn’t care about the results of what I did; I was quite destructive. . By age 16, I became pregnant. I didn’t know who I was and now I was responsible for raising a child alone. 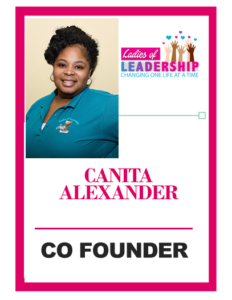 The prominent reason why Ladies of Leadership has been established is to prevent young ladies from self-afflicting wounds that would negatively alter the course of their lives. It wasn’t until my adult life when I gave my life to Jesus Christ and experienced God that felt peace and joy in my life . 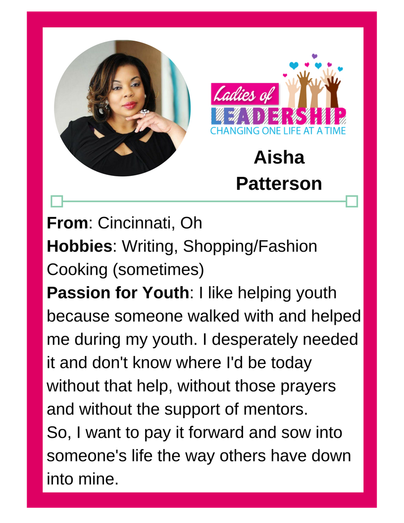 There were times where I wished someone was there for me in my younger days to guide me down a clean path and that’s why I give back to young ladies. I believe it is my duty to love each member unconditionally without wavering. 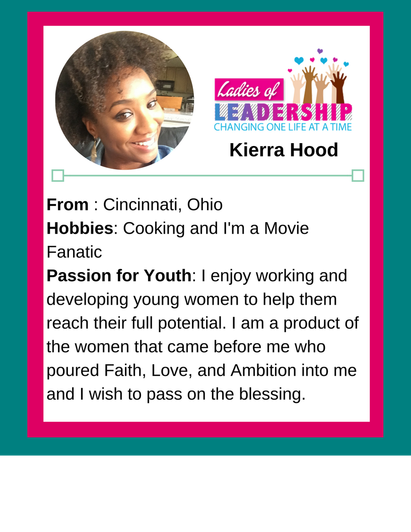 I believe in the importance of showing I care by listening to their passions and problems and leading them to be whole well rounded young ladies. 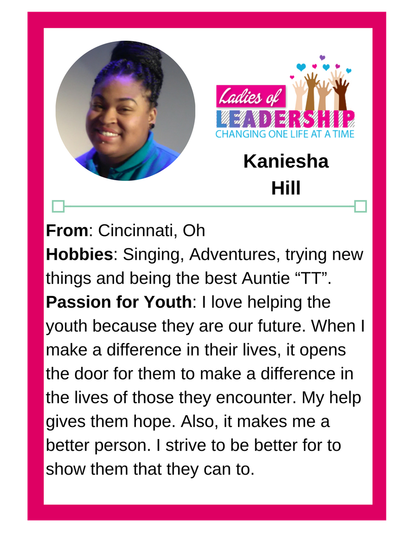 If L.O.L didn’t exist, the communities that we impact would lack from countless young ladies suffering from depression, suicide, low self esteem, teenage pregnancy and failing grades. The benefit of working with us is to ensure that the members of our program are positive citizens in the community. Our program literally changes lives for the better in all aspects of their lives. Hi! I’m Canita! I am a wife and mother who was raised in Avondale, Ohio. At the age of 9 years old, my father was murdered which forced my mother to be a single parent. Growing up without a father was not the easiest thing, but it didn’t keep me from pressing on and pursuing my educational success. I was the 1st high school graduate, college graduate and nurse in my family. I can honestly say that my perseverance allowed me to build new traditions within my family. 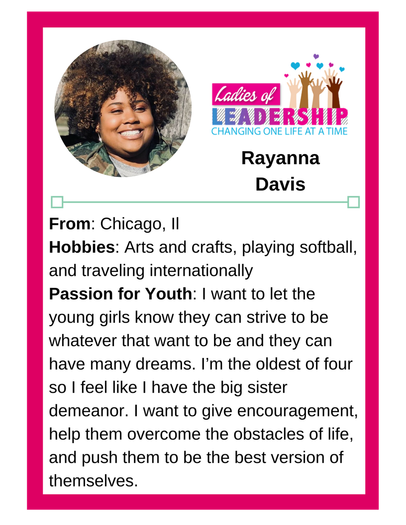 I know what I’ve been through, the challenges that I’ve faced and that’s why I continue to give back to the young ladies within our organization. I believe it is my purpose to share my life’s story to give them hope and a sense of direction. I absolutely love seeing young ladies succeed. 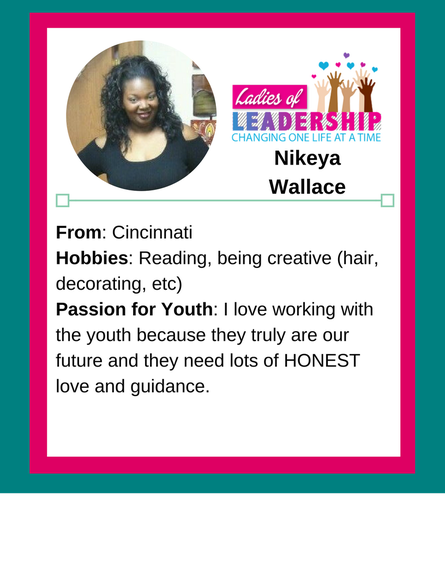 In the 10 years of founding LOL, we’ve worked with young ladies from various walks of life, from dual parent homes, to single parents, to orphaned. 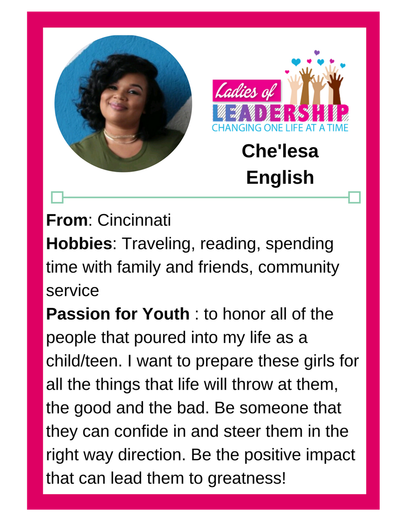 As an ambitious leader, my passion thrives as I see the changes in these girls; I am able to witness increased confidence, trust, academic improvement, and better decision-making skills, as a result of their consistent attendance. 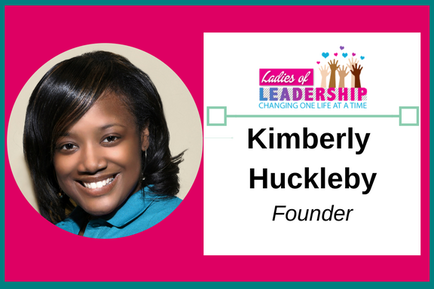 With Ladies of Leadership being in existence, we are in the business of saving lives. Our motto is “Changing One Life at a Time” and that is exactly what we are doing!